the subtle whisperings of the land may be heard. 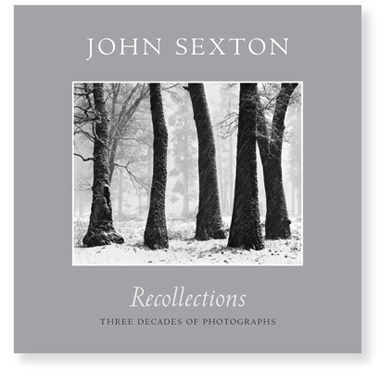 Ventana Editions is pleased to present Recollections, John Sextons highly anticipated fourth book. Marked by the same excellence in printing and design as Sextons three previous award-winning books, Quiet Light, Listen to the Trees, and Places of Power, Recollections promises an equally memorable experience. Learn about upcoming events, photographic projects, news, and receive special discount offers. Please indicate if you would like to join John's postal mailing list, e-mail newsleter list, or both mailing lists. We do NOT share your information with others. Places of Power is now out of print. directly from the publisher Ventana Editions.